The use of Social Media during working or teaching hours have always been a concern to business owners, IT administrators, teachers or even the concerned parent. When asked if Social Media applications should be allowed at work or at school, there just isn't always a "yes" or a "no" answer. 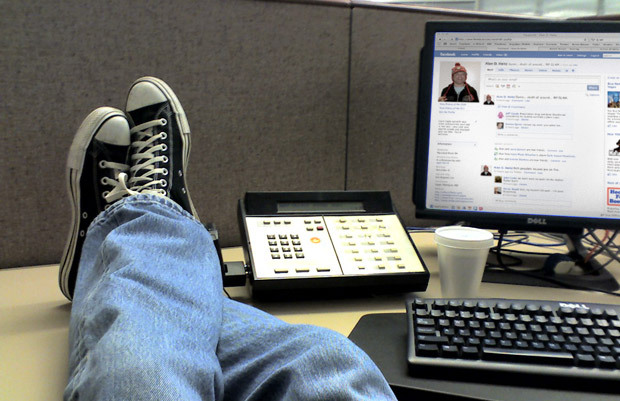 Allowing Social Media at work, school, or home just isn't that simple. Social Media, just like other things, needs to be controlled so time is not abused, but spent as efficiently as possible. Traditionally there has been a choice made by administrators---to allow or not to allow---when it comes to websites and applications. The problem is there can be a good case made for both sides, since there may be users that require use of certain areas of the web, while others need to be highly restricted. For example, Social Media (Twitter, Facebook, and other forms) can be a marketing tool for your Marketing Director, but other employees, such as your personal assistant, may not need access to those applications during working hours. Next Generation firewalls have application level control that allows for policies to be written per user group, with time limits, reporting and monitoring. This means that certain "policies" can be assigned to different users. So yes, your Marketing Director can update the business Facebook page, but no, your administrative staff computers will not be able to access that page at all. Want to keep your employees off Facebook? SecurEdge Networks designs wireless networks that are not just secure, but with Next Generation Firewalls that can help keep your team productive and efficient with their time. Contact us today for a free demo and learn how easily, and quickly, the Next Generation Firewall can help your enterprise, school, hospital or campus. Previous Post: How Much Does a School Wireless Network Cost vs. a Wired Network?